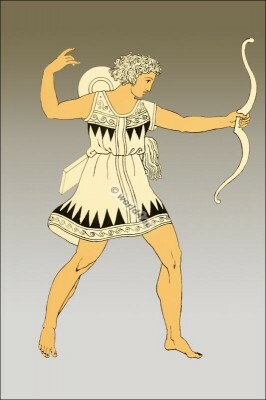 The Amazons costume. Female warriors of Sarmatia. The battles of the Amazons. The Amazonian shields. The Amazons, a warlike race of females.